To drive to Glacier Point, take the long and winding Wawona Road (a.k.a. Route 41 that connects Yosemite Valley with the South Entrance). The junction with the Glacier Point Road is roughly 17 miles from the South Entrance and 9 miles from the junction with Southside Drive in Yosemite Valley. Take Glacier Point Road roughly 16 miles to the parking lot at the end. This is Glacier Point! 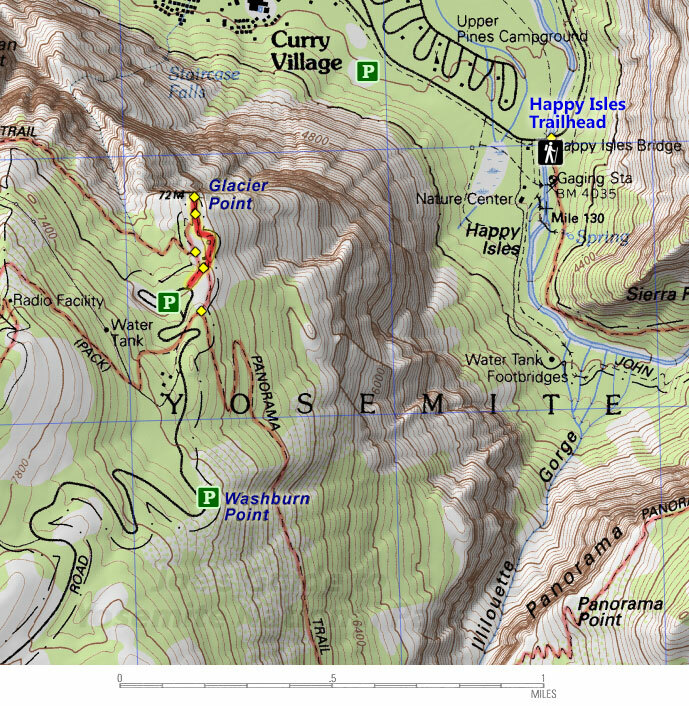 (The National Geographic Trails Illustrated Map for Yosemite is very useful to get a feel for the roads and junctions.) 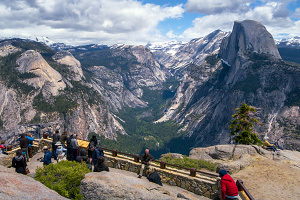 Alternatively, there is a Glacier Point Bus Tour from Yosemite Valley to Glacier Point; this option is especially useful if you want to do a through-hike along one of the many trails that starts at Glacier Point. 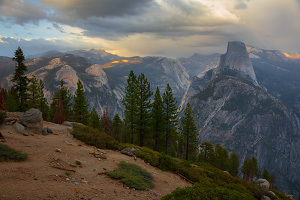 Washburn Point is located roughly .7 miles up the road from Glacier Point and is a smaller roadside viewing area. The view here is just as stunning as from Glacier Point, but from this angle, you cannot see the front face of Half Dome; this spot offers a more unique side view.